A contest between Donald Trump and the prevailing Democratic candidate in the US presidential election could turn violent and become damaging to the country's world standing, according to Professor Inderjeet Parmar. Writing for The Wire, the City University London academic explained Trump was heading towards victory in the race to become the Republican Party candidate in November’s battle for the White House. 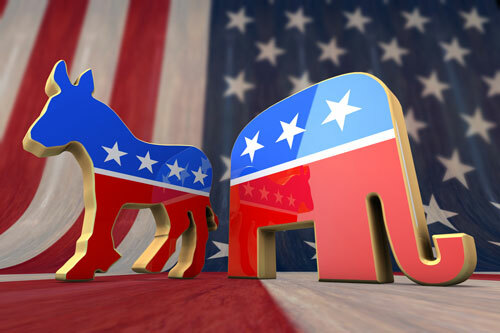 Professor Parmar believes the campaign to select the final two presidential hopefuls has highlighted deepening divisions between individuals who represent the established political elite and the majority of Americans. In the latest in a series of articles on the presidential primary elections, the academic, of the Department of International Politics, explained Trump’s “anti-politics” approach was winning over voters across the USA. He said: “The gap between the established political elite and the vast majority of Americans is now wider than it has been since the 1970s – the last time the very legitimacy of the American political system was called into question in the wake of the horrors of the Vietnam War, the illegal bombing of Cambodia, the furore over the leaked Pentagon papers and the Watergate scandal that destroyed Richard Nixon. In his previous article for The Wire, Professor Parmar described the “crisis” in the Republican Party that is seeing its traditional supporters deserting previously popular figures such as Marco Rubio. The academic says this “civil war” could mean that, in the event Trump triumphs in the November presidential election, the billionaire businessman may be left without enough support in Congress to deliver his policies. Writing in his blog, the US political expert explored the GOP divisions further, with an article on the “50 reasonable conservatives” who wrote an open letter to Donald Trump condemning the real estate magnate as unfit for office. “This open letter represents the US foreign policy establishment’s rejection of an aggressive warmonger because he’s not in their networks, not part of their elite, and not in their control,” he said. Following Super Tuesday – the day when the greatest number of US states all cast their votes on which party candidates they want to run for president – Professor Parmar wrote in Fortune magazine that the final vote could be among the most “brutal” US elections ever. The academic explained there were vast differences between the politics of the Republicans’ likely candidate Trump and the eventual winner of the Democratic Party’s vote – either the favourite Hillary Clinton or Bernie Sanders. “November might see one of the most brutal of contests in American history since Thomas Jefferson took on John Adams, each trading slurs that would shock Americans even today,” he said. 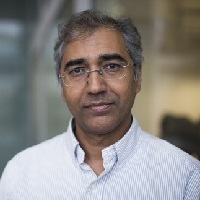 Professor Parmar has also written analysis of the New Hampshire primary results and the Iowa caucus as part of his commentary of the 2016 US presidential election campaign.